Buyers becoming faster, smarter, and better. DOmedia isn’t the first and certainly won’t be the last to use those three words to describe a new product. Our latest innovation, RFP 2.0, is the manifestation of industry leaders coming together with a shared purpose, they want to DO media better. Faster starts with the foundation of DOmedia. Over 750 vendors and 1,000 media buyers are actively using DOmedia today. Easily searched and accessible, DOmedia provides quick access to millions of data points in ways that mirror buyers’ processes. Our RFP tools help buyers manage multiple campaigns with multiple vendors in multiple media formats. It centralizes communications and status updates while providing quick access to submitted files with a fast “download all” function. Smarter begins with continued progress in standardizing proposal information. 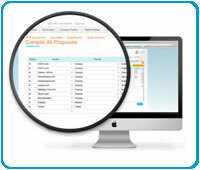 RFP 2.0 allows seller responses to be placed into a web-based template, without it fast is slow. We have worked with dozens of agencies as well as industry organizations to help bring smarter to the market. Creating standardized ways to organize, display, and communicate client campaign needs through a dynamic RFP dashboard will advance the media planning and buying process. Standards provide marketplace efficiencies; enable reporting, and integration with other systems like contracting, trafficking and proof of performance. Better results from being faster and smarter. Better happens in the most meaningful ways, more effective advertising for the client and industry-wide revenue and profit growth. Bottom line improvements elevate an industry and captures a greater percentage of the overall media spend. For DOmedia, better is defined by continuously seeking feedback on our products and services to keep them aligned with industry needs. We thank the thousands of clients who have helped us get this far. Improving the experience for media buyers and sellers is at the forefront of DOmedia efforts. Together the experience will be Faster, Smarter, and Better for all involved in the media buying process.